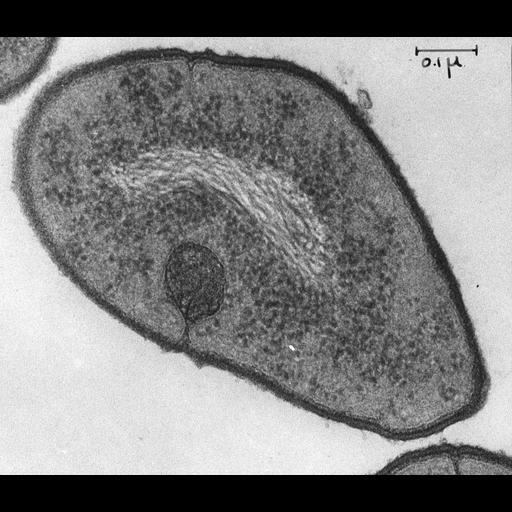 Transmission electron micrograph of a thin section through the bacterium Diplococcus pneumoniae. The fibrous nucleoid is centrally located, surrounded by cytoplasm containing numerous ribosomes. Micrograph recorded at a magnification of 64,000x. Original 3.25 in. x 4 in. lantern slides were scanned at 600dpi.